The perfect soup to warm you up without weighing you down. 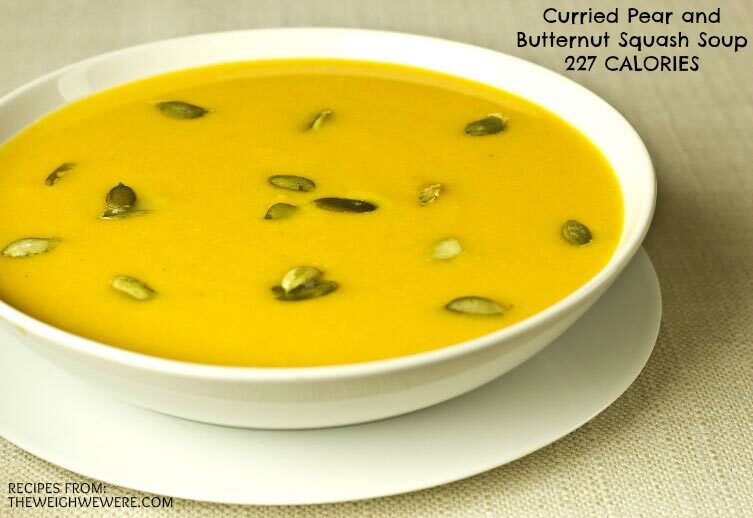 This soup is also a wonderful source of healthy fats and fiber. Place a large saucepan over medium heat. Add the oil followed by the squash, pear, onion, salt, and pepper. Cook until the onions begin to soften, then add the curry powder and cook 1 minute more. Increase the heat to high, pour in the broth and season, once again, with salt and pepper. Bring the broth to a boil then cook, stirring occasionally, until the vegetables become very tender, about 15 minutes. Puree the soup in small batches using a blender, then strain. Ladle into bowls and top with pumpkin seeds.